The Epiphone MM-50 is Lloyd Loar’s 1922 F-5 reborn. 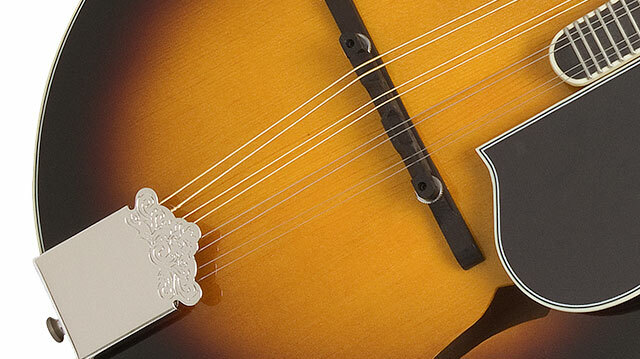 The original F-5 mandolin was packed with innovations like tuned soundboards and backboards, a longer neck, a floating fretboard, and violin inspired f-holes that helped redefine the tone and reach of the instrument. The Epiphone MM-50 is truly the most amazing acoustic mandolin value available, replicating the trademark tonal qualities of its historic ancestor without the vintage price tag. As with every Epiphone, The MM-50 comes with the peace of mind you get from a Limited Lifetime Warranty backed by Gibson Musical Instruments’ famous 24/7/365 day Customer Service. The MM-50 features a Solid Spruce top which helps give the MM-50 the cutting power that players associate with the F-5 design along with figured maple back and sides, a ‘Master Model’ style rosewood bridge, unbound f-holes, and a multi-bound tortious style pickguard. The hand-set SlimTaper™ “C” profile maple neck includes a rosewood dot fingerboard with a 14” scale length, a 1.06” nut for smooth action and clear precise notes in all positions, and a traditional bell-shaped truss rod cover. The Vintage Sunburst (VS) finish not only makes for a classic look, but is also thin enough to allow the Spruce top to resonate and show off the tonewood’s subtle characteristics. The headstock features the historic profile of the Lloyd Loar original with a Flower Pot inlay and pearloid “Epiophone” inlay. 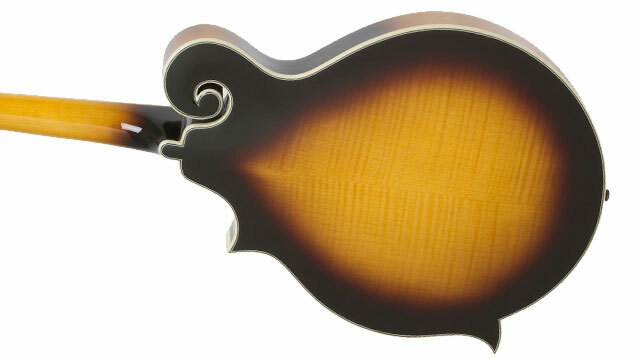 Vintage mandolins suffer from the wear and tear of a century of playing and the hardware often suffers the most. The MM-50 really shines with nickel tuners with vintage style white buttons designed at Epiphone in Nashville, TN.